"Serving veterinarians for the benefit of animal and human health." Are you or someone you know interested in giving back to the veterinary profession? The IVMA is seeking nominations for two-year terms on the Executive Board. 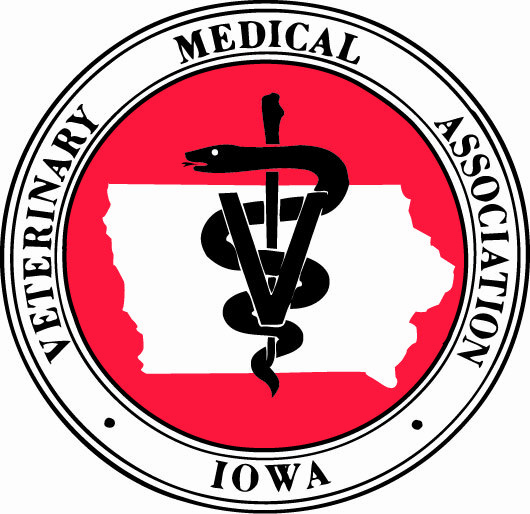 The Executive Board is made up of 22 dedicated veterinarians from 20 districts in Iowa. You may only nominate someone from your own district. If you are interested in serving, you may also nominate yourself. This year elections will be held for odd numbered districts. Even numbered districts will be up for reelection in 2020. Districts are determined by member’s home address, not clinic/work location. ﻿For more information about the IVMA Executive Board, visit www.iowavma.org . Send in your nomination to the IVMA Office at 1605 North Ankeny Blvd., Suite 110, Ankeny, IA 50023, email it to ivma@iowavma.org or fax it to 515-965-9239.  Please include your name, name and city of the nominee, and district number. The deadline to receive nominations is April 15, 2019. Save $25 by registering before April 8! Visit www.iowavma.org for more information about the topics and to register or call the IVMA Office at 800-369-9564. 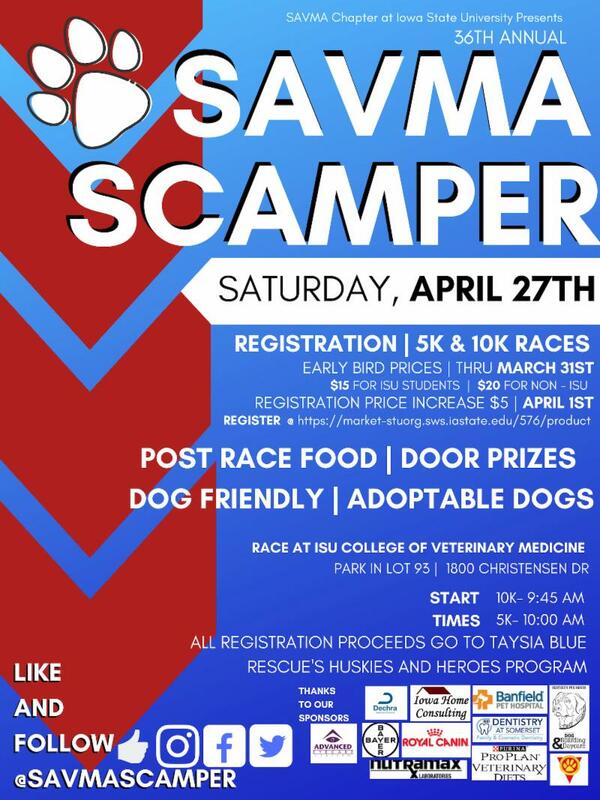 The IVMA has agreed to staff one of the aid stations along the route of the 2019 SAVMA Scamper. Come volunteer and join the fun! Volunteers will hand out water to runners and fill dog water bowls, help with traffic control, keep the race area clean and cheer enthusiastically. Volunteers will be provided with a brief training and bagels before the race at 8:45 am. The race begins at 9:45 am. Click here for more information and to register for the race . To join the fun and help out at the IVMA aid station, contact the IVMA office at 800-369-9564 or ivma@iowvma.org . 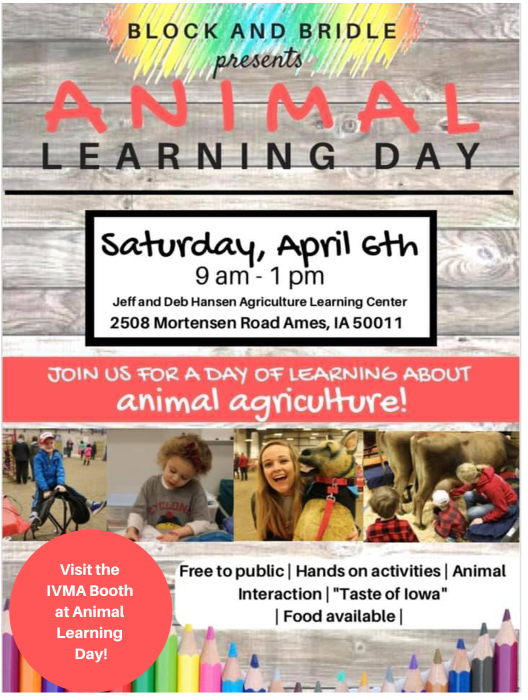 The IVMA will participate in the annual Animal Learning Day sponsored by the Iowa State University Block and Bridle Club. The event will take place on April 6 from 9 a.m. to 1 p.m . at the Jeff and Deb Hansen Learning Center in Ames. This free event will provide an opportunity for the public to learn about animals in agriculture. The IVMA will have a booth to provide attendees with information about the veterinary profession. We need your help! A few volunteers are needed to staff the IVMA table, assist with a photo both, hand out sticker books and answer questions from the public. Shifts are 9am-11am and 11am-1pm. If you can help, please contact the IVMA office at ivma@iowavma.org or 800-369-9564. If you can’t help, bring your kids or grandkids to this fun event! The Ames Tribune released an article and video of Dr. Bill Williams discussing the stresses put on members of the veterinary field. A study published by the American Veterinary Medicine Association (AVMA) in January was conducted to asses suicides among U.S. veterinarians through the years of 1979 to 2015. The study found that male veterinarians were 2.1 times more likely to die of suicide than the U.S. general population. Female veterinarians were 3.1 times more likely to die from suicide. In this video and article, Dr. Williams talks about why veterinarians may face stress and anxiety and how the members of the veterinary community are working to reduce the stigma attached to mental illness. The IVMA Wellness committee is working to educate members on this important issue through articles in the IVMA Update, continuing education sessions and resources available on their website. If you or anyone you know is struggling with a suicidal crisis or emotional distress, the National Suicide Prevention Lifeline is a 24/7, toll-free hotline. The hotline can be called at 1-800-273-8255. 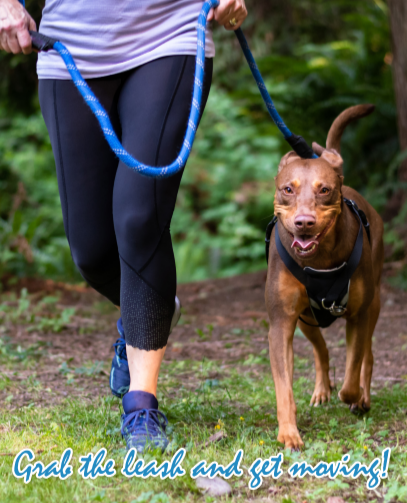 The IVMA is partnering with Live Healthy Iowa to help Iowans and their dogs get more exercise this spring through their Strut Your Pup Challenge . The program challenges you to get out and get active with your pet during Iowa's cool, spring weather. Studies have shown that people who regularly walk dogs may benefit from lower blood pressure, have a trimmer waistline and suffer from fewer chronic diseases. Dogs are a great accountability partner; keeping you active and on schedule. Challenge your staff to get involved and promote the program to your clients. Team-up with a canine companion, get moving and track your activity minutes through the Live Healthy Iowa website. Compete with others in your community or across the state as you improve your health and that of a furry friend. IVMA veterinarians will help answer participants' questions each week in the "Ask the Vet" section of the participants' weekly emails. Register today for Live Healthy Iowa's Strut Your Pup Challenge. The documents can be found on www.iowavma.org under Resources. 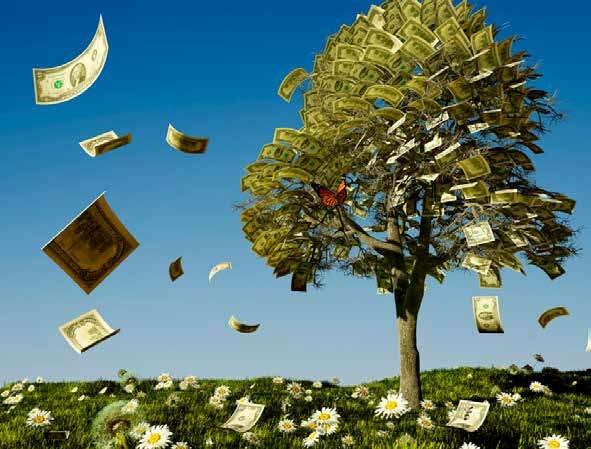 You will need to be logged in as a member to view the documents. Although many pet owners prefer the idea of a "natural death" for their animals, the reality is that letting nature take its course in companion animals often involves prolonged suffering that animals tend to conceal. Veterinarian Alice Villalobos urges owners to think about pets' quality of life when determining whether it's time to say goodbye, and she developed a checklist to help with decision-making.